Ms. Nguyen Thi Hong, the Deputy Governor of the State Bank of Vietnam, informed that the loan amount of 30,000 billion VND for the State budget made by the Ministry of Finance was just temporary; the loan request was consistent with the provisions and would be paid within the year. 31st July afternoon, at the Regular Press Conference in July, Ms. Nguyen Thi Hong, representing the State Bank of Vietnam, answered reporter’s questions on the Ministry of Finance 30,000 billion VND loan request. Ms. Nguyen Thi Hong also confirmed: under the provisions of the current law, public debt management does not prohibit the State Bank to support the state budget. “If the State budget is greatly in need, the State Bank will evaluate the request based on the common goal of a stable macroeconomic. The State Bank will comply with the provisions of law in case of deciding to support. According to Ms. Hong if this request is approved, the State Bank will synchronously and reasonably regulate the money amount to suit with the inflation control target, the macroeconomic stability, the economic development and to ensure common goals. Ms. Nguyen Thi Hong also answered: the money supplying the State budget is only temporary. Earlier, Mr. Huynh Quang Hai, Deputy Minister of Finance, said that the of crude oil price created many difficulties for the State budget. However, the result of State budget collection of the first 7 months was estimated to reach 59.8, 6-7% higher compared to 2-recent years. This is a positive signal. Based on the year-end mission, the Ministry of Finance determined to meet and exceed the 2015 budget collecting estimation assigned by Congress. According to Ms. Hong, the fall of oil price leading to 32,000 billion deficit in budget revenue was not that big of a difficulty, this amount could not make budget degrade. Ms. Hong confirmed: the loan of 30,000 billion VND that the Ministry of Finance requested for the State budget is just temporary; the loan is Consistent with the provisions and will be paid within the year. Ms. Hong optimistically said: “With the expected budget revenues of the Ministry of Finance, there is not difficulty in repaying the loan”. 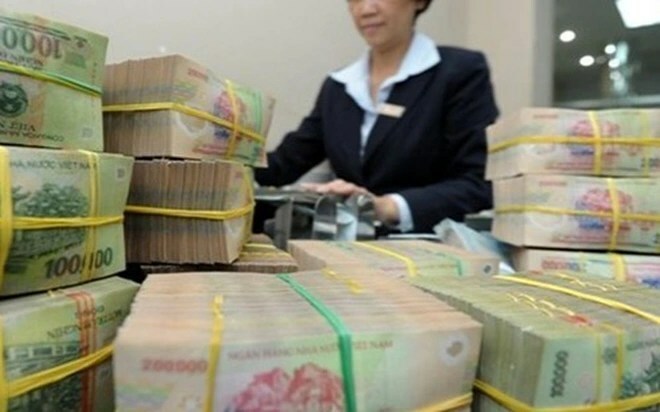 Previously, in 29th July, Mr. Huynh Quang Hai, Deputy Minister of Finance, confirm that the loan amount of 30,000 billion VND for the State budget was only an operational activity of the State Treasury, not that the budget is in unexpected difficulty.